It’s no secret that job sites are extremely diverse. Working on a job site usually involves a range of different jobs to be done. Each of which can present their own hazards. Hi-Visibility ensures that you and your crew can stay safe on the job site no matter what situations might come up. There are many low visibility situations when working in at-height, industry, and construction. Not to mention, mother nature doesn’t make every day sunny. You need to be seen on the job site to stay safe. Stand out from the crowd and stand out on the job site with our wide selection of hi-vis apparel. Our high visibility workwear includes a range of sizes and colors. We have both class 2 and class 3 safety apparel to ensure you have the gear you need to get the job done. Need help finding the perfect high visibility apparel? 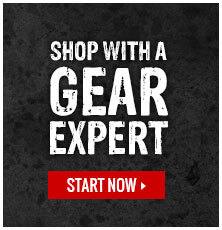 Check in with one of our Gear Experts® here and we can help you find the perfect fit!